Sometimes it seems like there are only complicated things that you can make for Halloween treats. The only other options are those that are simple and cute that your kids can help you with. What about those fun grown-up parties. The special ones that you don’t want the kids to attend. Here are some yummy food ideas that you can share for others. One of the common things that people think of when it comes to Halloween is things that are considered creepy. One creepy things are snakes. The Snake-Bite Calzones is simply made from a prepackaged pizza dough. Laying out your pizza crust you then place everything inside. Close and shape the snake. Using green food coloring and egg white to place splotches of green on it. Use a pepperoni as the tongue. There are so many things that you can fill each snake with. There are several different ways in which this particular dip can be created. 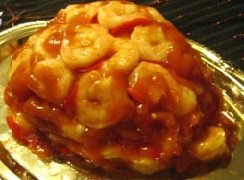 Each version of this uses mini or cocktail shrimps. There are several recipes all over the internet, however one of those is from Martha Stewart. Almost all of the recipes include the use of gelatin, or cream cheese. This is one food that can be personalized to anything that you interested in making. This is a simple recipe that can be made with all your favorites. You will want to find a loaf of bread that has the traditional style. This will be your coffin, remember to take a portion of the soft bread center out. This is where you can place your favorite dip. You can take a skeleton and place it into the coffin, or lay him out of the way, anything that will make your coffin look a bit more realistic. Something that almost everyone loves is meatloaf. There are several different ways that you can prepare for Halloween party using meatloaf. An option would be the Baked Human Hand. This is something that can be shared with anyone in the family. Using mashed potatoes as a layer underneath the cooked hand. Mix your meatloaf with whatever ingredients that you prefer. Shape the meatloaf into a hand, or place it into hand mold. Place the hand on the mashed potatoes for a full meal. There are other things you can shape like a baby or anything that you can think. One thing that is common on all Halloween set ups is weird eyeballs. One option is to make deviled eggs as you usually would. However, add a little green food coloring to it, just a little. It is important to only use a little bit so that you only tinge the filling. 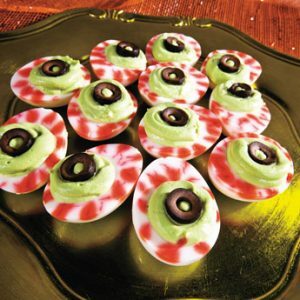 Once filing the boiled egg with the green mixture, and place a portion of an olive on the very top. Draw veins on the egg whites with the red food coloring or gel. There are so many things that an individual can do to make their Halloween an event that might never be forgotten. The 5 Stages Of Teething! It Gets Better, I Promise! 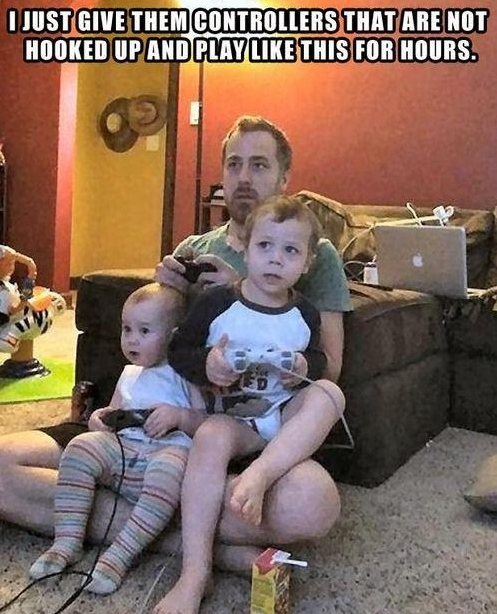 12 Parents Who Nailed Parenting! #3 Is Just AWESOME! Something tells me that the children of all these parents are going to grow up to be just fine! When I saw these I laughed so hard, but then for some I actually took notes! Haha. These are some of the coolest and funniest ideas I have ever seen parents try. Continue on the next pages to see for yourselves! When you welcome a new person in your family, things get a little out of control, but thanks to your natural parenting instincts things get back in shape and you start brewing ideas to make sure nothing falls apart, like ever again! These parents nailed parenting and truth be told, I’m completely inspired! Sometimes the things we take for granted are usually the things that make us happy, don’t believe me? Check this out! These parents know exactly how to travel with their newborns! 8 Black Nurseries That Look Surprising Cheerful! Bet You Didn't Know This! Nurseries don’t necessarily have to be colorful, of course it depends on your taste and all, but black nurseries are a thing of today! A lot of parents think nurseries aren’t really important, but what you need to know is that nurseries can make your life a lot easier. Your baby’s things can stay in one place, you don’t have to keep shuffling places to keep your baby’s things. 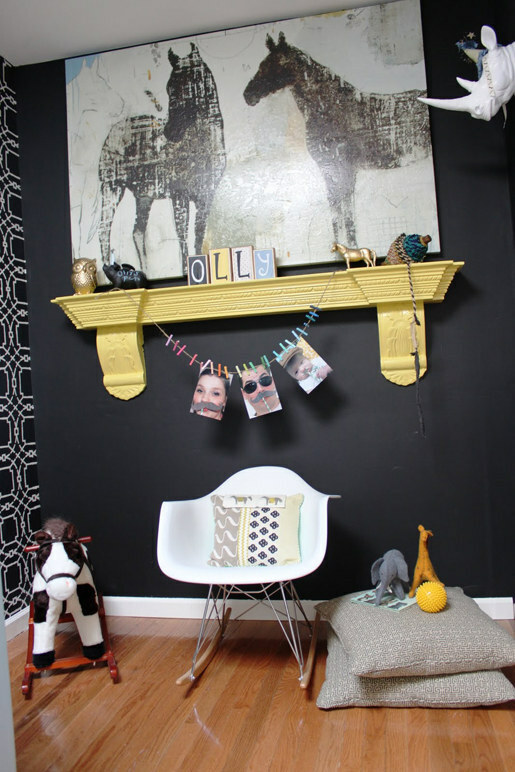 When it comes to colors, black used to be considered pretty weird when it comes to nurseries so most people preferred light colors, bright ones, with white curtains and all the other pretty little things. But here’s what I didn’t know – black nurseries. 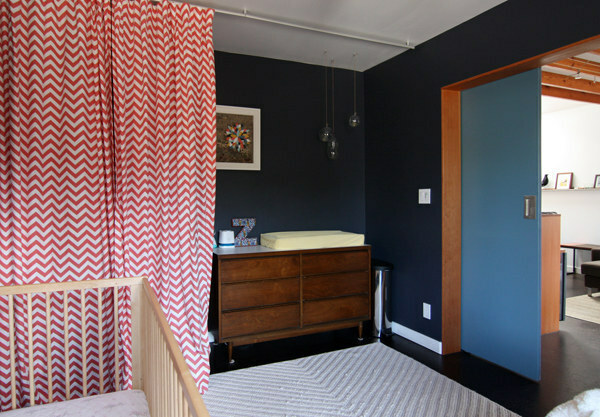 Isn’t this nursery just adorable?! 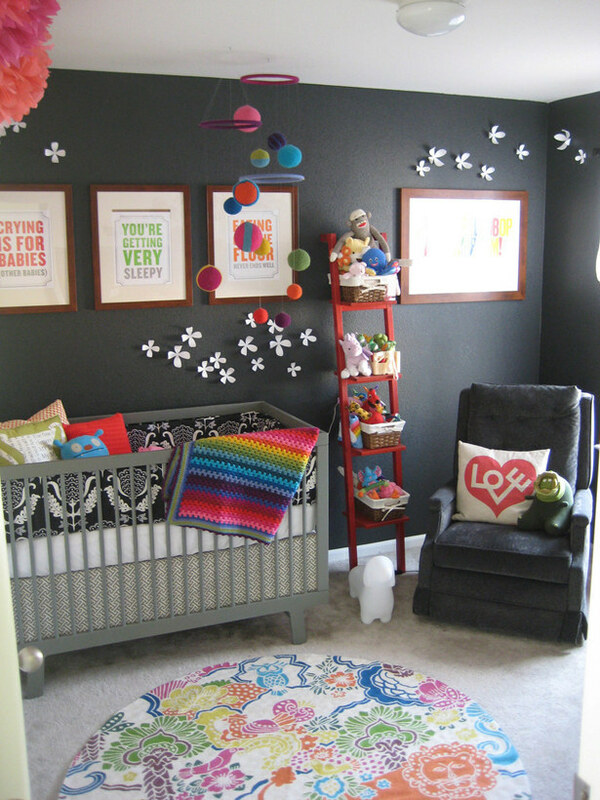 This nursery, which is light, bright and black! what a combination! 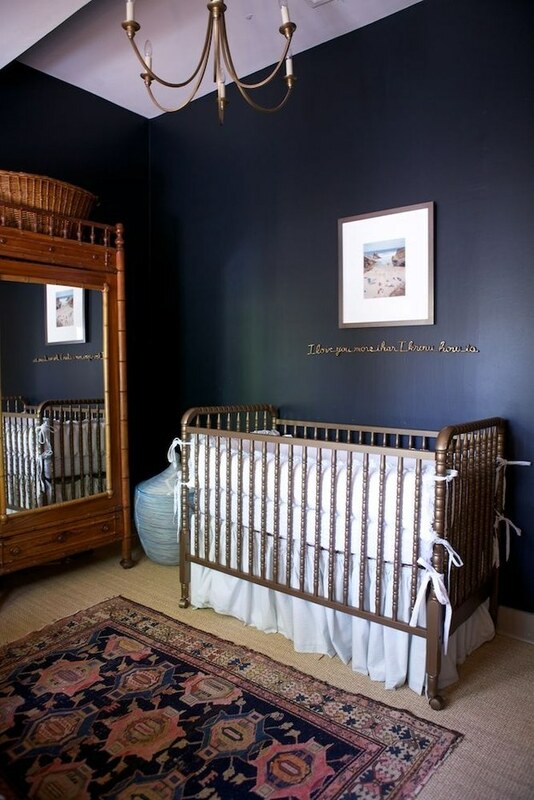 Here’s a gothic style nursery! Want to see more black nurseries? Click here! She Was Desperate, Her Horse Drowning, The Tide Was Coming. What She Did Next Deserves A Standing Ovation! 10 Little Hacks to Make Parenting A Lot Easier! 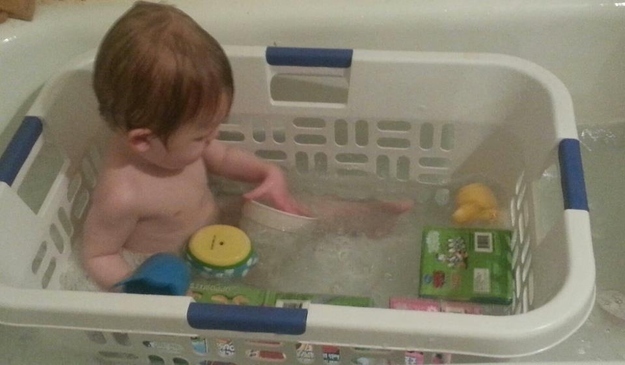 If you’re worried about your child and his toys floating away, bathe them in a laundry basket and you can easily solve this problem! 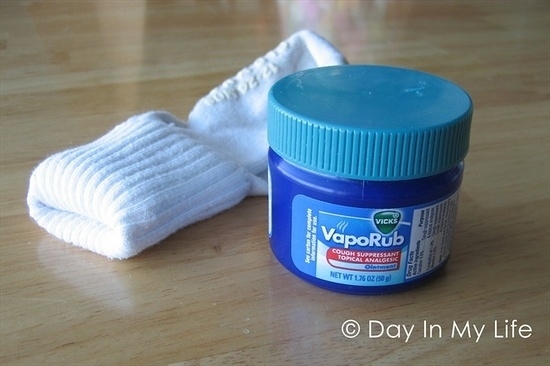 If you don’t like to see your child coughing all through the night, rub vapor rub on their feet and put socks over them. It will help them sleep without the pesky coughs. Traveling somewhere? 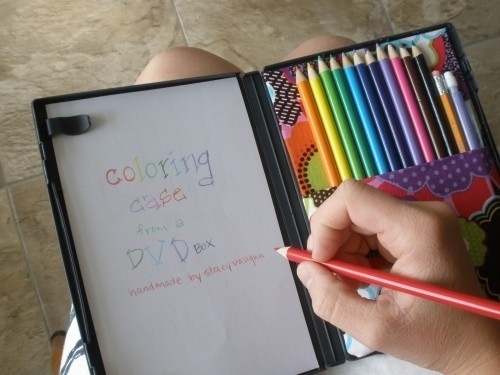 How about transforming a DVD case into a travel art kit that your child will definitely love? Put your kids to work by turning chores into a fun game! 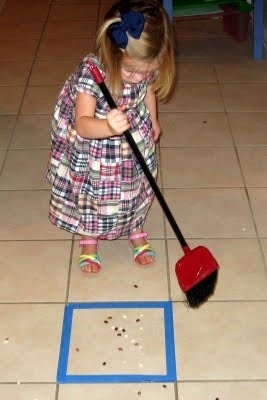 It’s easy really, draw a box on the floor and ask your child to sweep everything inside and viola! They’ll never know the difference! 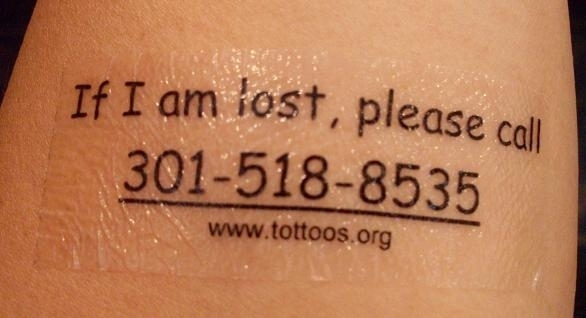 Here’s a cool way to let people know what to do in case your child gets lost. These are temporary tattoos developed by Tottoos! 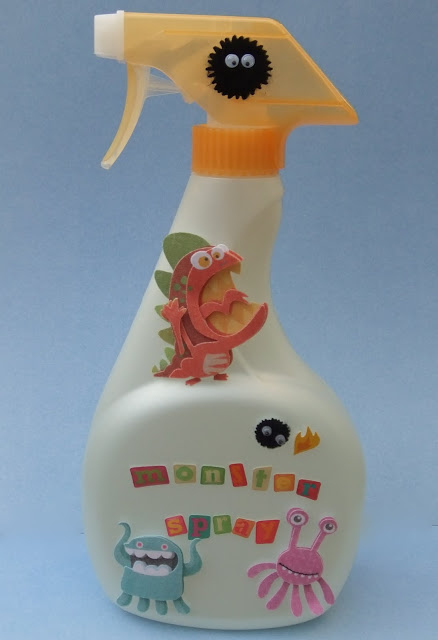 If your kids are afraid of the monsters then make the monster spray! Cut and paste some monsters on a water spray bottle and squirt under the bed, in the closet and wherever you child requests! 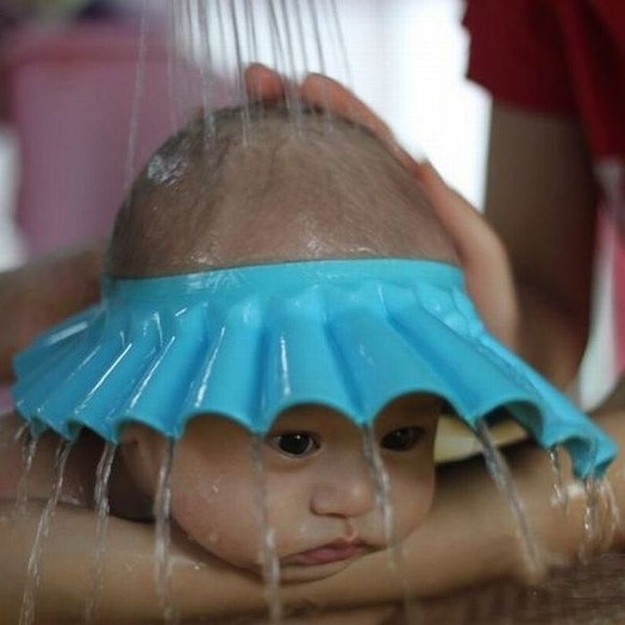 If you baby hates the idea of water getting in her eyes or worse, has shampoo fear, well how about investing in a baby shower cap? They’re cute too! 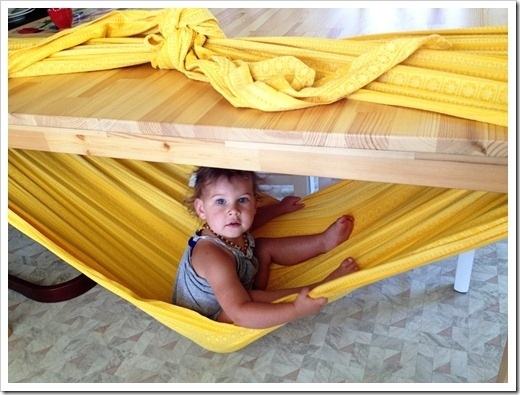 If your child it tired of pillow forts and tents, how about making a hammock with a blanket tied around a table? Your baby will love it! This post was written by Peggy on BuzzFeed! Click the link to see more parenting hacks! 4 Awesome Ways To Introduce Your Child To Writing! Birthdays – what a crazy day! It entails a lot of planning, lots of decorations, lots of hard work and a hell lot of patience. Apart from that, these days people think that amazing birthdays = expensive birthdays. Not really! If you have some time and if you want to make your birthday party decorations one of the best people have ever seen then let me help you with some ideas! The best part? It’s not even going to cost you half of what you would have spent for a lavish birthday celebration! 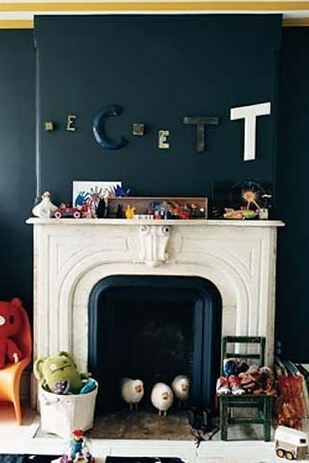 Get some coloured papers, cut different shapes from it, string them together and hang them in which ever manner you see fit! I’ve got a lot of doors so I hung them like curtains and they looked amazing! Here’s another thing that I figured I’d do – of course I had a tough time blowing them, but oh well. I bought half a dozen of these LED balloons and left them in the main area where I arranged for the children to have their snacks. The children loved them and one of them, a toddler was like, “coloured clouds!” They’re fun, trust me! I bought lots of crepe paper and designed the entire living room with it. Designs can be anything, from fringe cutting to just twirls. Take a tape and stick them in place. End results? Mind blowing! Depending on the theme of your birthday, you can arrange for flower garlands or crowns for all your little guests. My child loves pink and yellow so I picked some nice yellow flowers and a rose for each of the tiny guests. As soon as they arrived, I gave a flower crown for girls and garlands for boys. Of course it doesn’t stay the same for long, so be sure not to spend much on them. If you can’t find flowers, cut some out from thick coloured papers and voila! I can swear by these! They looked amazing! What you’ve got to do is to make as many blow-up boxes as you can using origami sheets and then slip them into individual bulbs on a string of bulbs (those you use to decorate Christmas trees). A parent was so impressed she asked me to help decorate her birthday! This one is a bomber! I placed two giant lollipops at the entrance, two each in the hallway leading to the main room! They were an instant hit. What you need is some large colourful balloons, wrapping paper tubes, paint, and some clear cellophane. Paint the paper tubes in white, stick the balloon on top and wrap it with the cellophane and you have your first giant lollipop! This one is similar to the light boxes above, so instead of using boxes, cut a small hole in your paper glass, slip it in individual bulbs on a string of bulb. This looks great if it is hung out of the reach of children! Amazing isn’t it? This isn’t all; there are lots of other ideas to make your birthday party and instant hit.